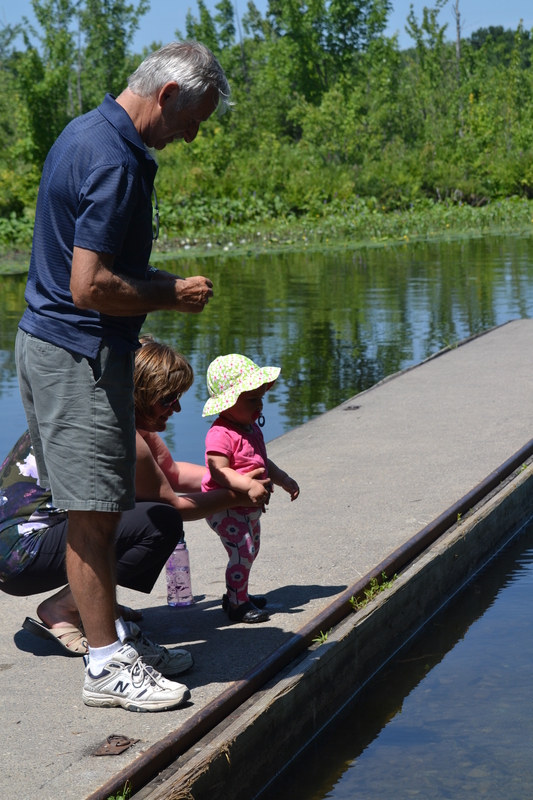 Family fishing week recently passed on July 5 to 13, 2014. The week also coincided with relatives from Germany visiting and the World Cup of Soccer Finals. Quite the eventful weekend! In between soccer games, we did our best to show the relatives the best Ontario has to offer. To fulfill this goal, a fishing trip was a must. 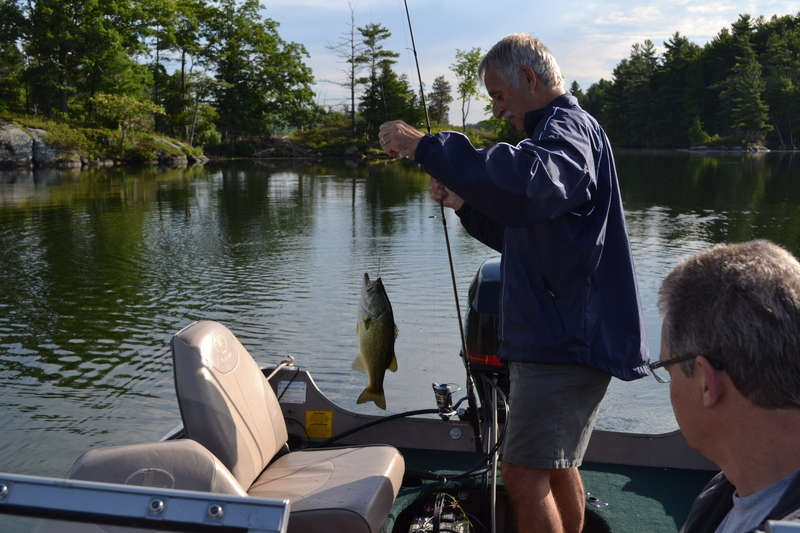 And so, on Saturday morning at 6:30, I picked up the relatives as well as my father in law, Rodger, and headed to Loughborough Lake to target some bass and hopefully take in some famous Ontario scenery. Following a very Canadian stop at Tim Hortons, we made it to the launch in Battersea Ontario around 7:15. Although a bit older, the launch is in fairly good condition considering it sees heavy use throughout the year. 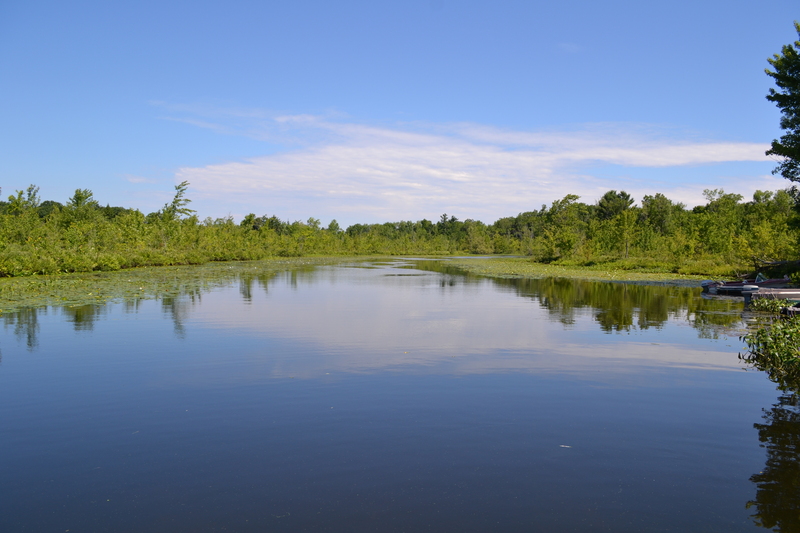 Following a quick launch we sped out into the Lake and headed east toward Largemouth territory. 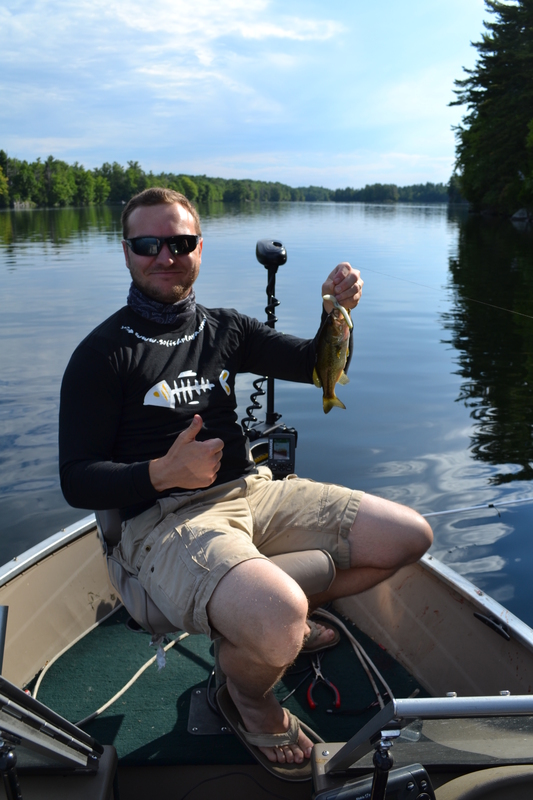 The rumour is, the west side of the lake holds bigger fish, but for beginners, catching numbers would be more important, and so the East side was our destination. 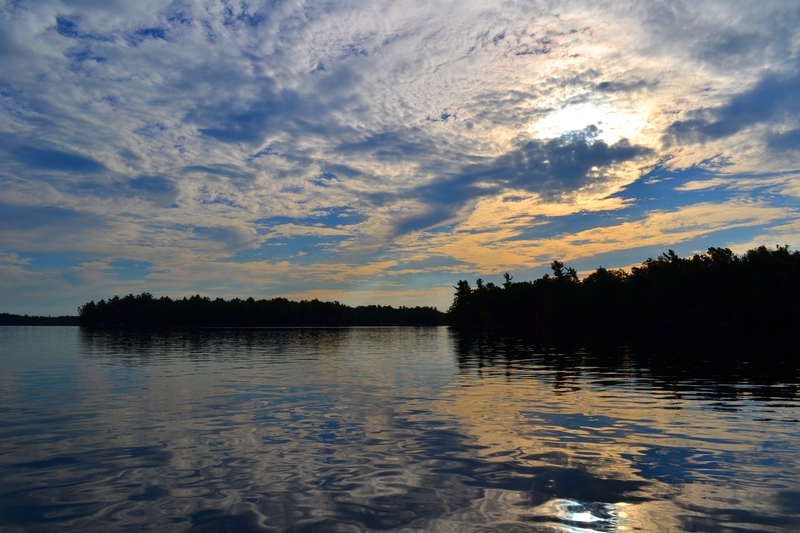 Thankfully some of that famous Ontario scenery decided to join us which made Thomas ( who is an avid photographer) very happy! 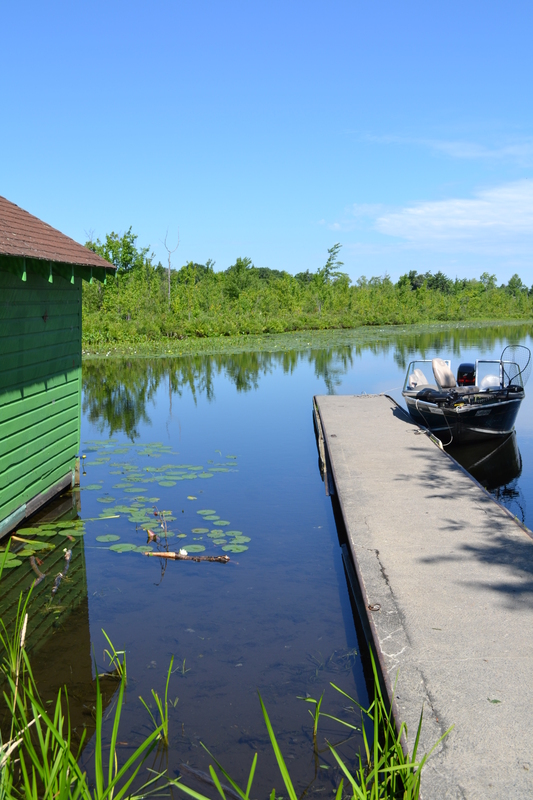 We reached the shallow bays of the east side of the lake and immediately started catching some Loughborough largemouths. Fishing was steady through most of the morning with approx. 25 bass caught. Most were 1 to 2 lbers however the largest topped in around 3lb. Fish were caught on plastics in water depths ranging from 2 to 10 FOW. 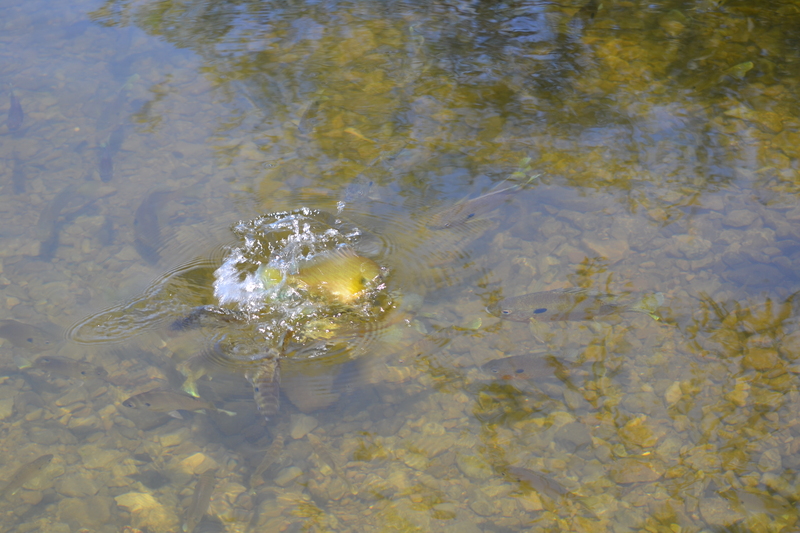 The fish seemed to enjoy rock points just as much as slop and lily pads. Even weed flats held fish. After the fishing we arranged boat rides for the remaining German relatives and for my daughter. 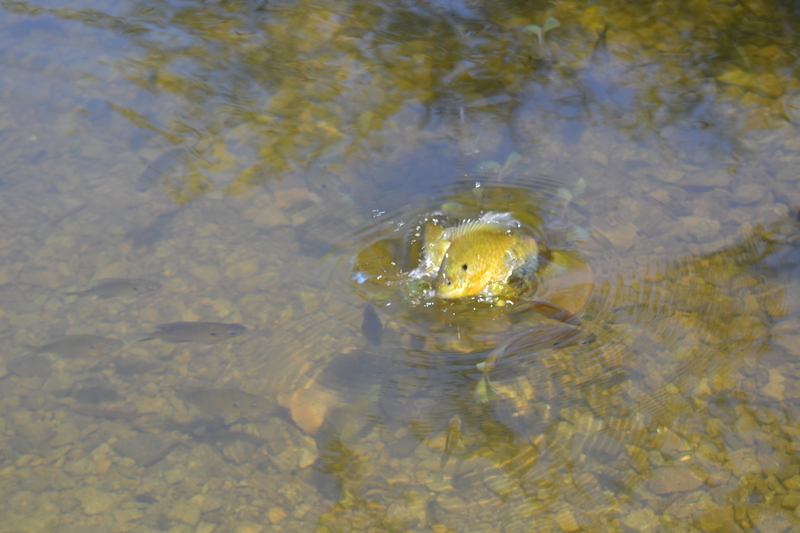 We even got a chance to feed the bluegills from the dock. 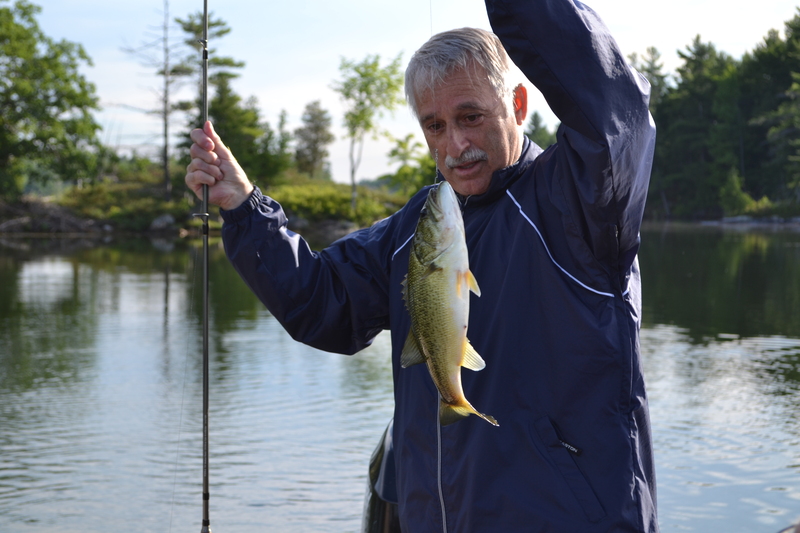 Fishing is one of my favourite hobbies and is a quintessential Canadian past time. I am glad I was able to share it with family from across the globe. 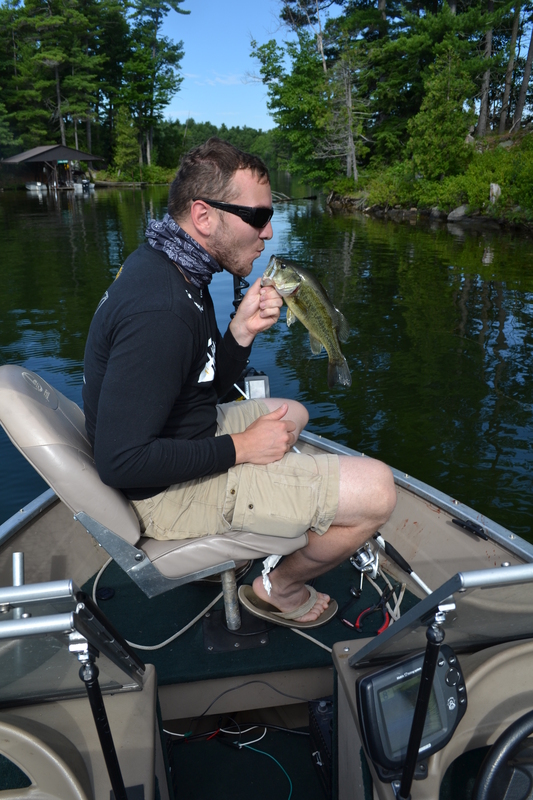 This entry was posted in Fishing, Photography and tagged bass fishing in Ontario, Fishing Bass near Kingston, Get Outside, Largemouth bass, Loughborough Lake, the wilds of ontario. Bookmark the permalink.